Through the work we are carrying out with Rhondda Cynon Taf on their private insulation scheme, we are committed to supporting the councils pro-active approach to supporting the local community. We are committed to attending all the local Landlord Forums within the Borough, were we are able of offer up to date advice for local landlords in the area on upgrading their properties. We were also contacted by Age Concern in Pontypridd to attend their future forums too. The purpose it to provide up to date information on funding available to provide energy efficient measures to properties in the local area. 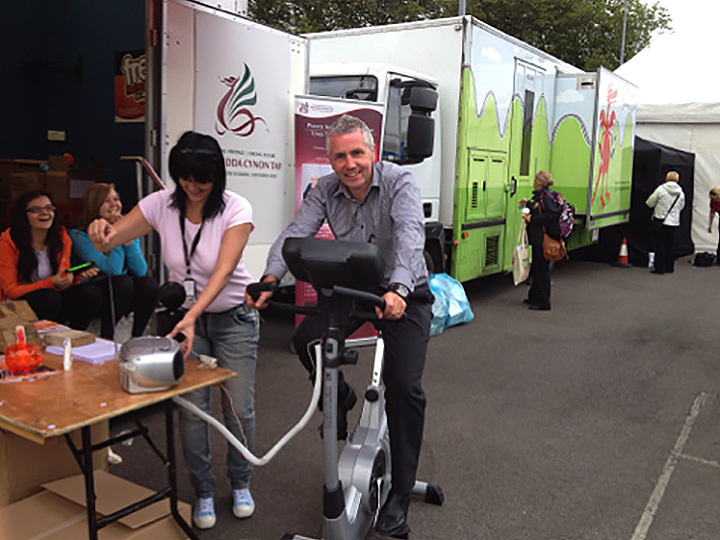 On the 3rd August 2012 we attended a local community event in Ynysangharad Park, Pontypridd, called ‘The Big Bite’, supporting RCT’s attendance. Together we promoted the private sector insulation scheme which was running in the local area. The event was attended by thousands of people over the 3 day event. Together with RCT we spoke to hundreds of local people advertising the insulation schemes and taking queries from local residents on how to make their properties more energy efficient.